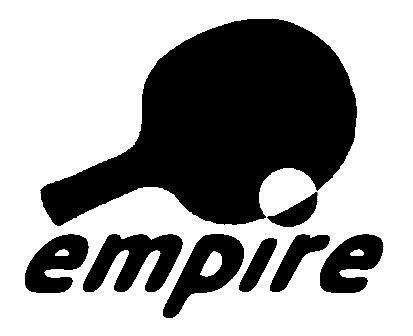 Empire club have a regular newsletter “Empire Spin” – for those outside of Empire I’m taking the liberty of extracting some pieces from it and pasting below (with a couple of pics from Malcolm Wong). Any other clubs with news are most welcome to post here or email to me and I can put it into a blog entry too. It’s always interesting to share what’s going on! First a big thank you to Chris Williams for doing all the pre-tournament planning and excellent organisation of the events on the day. Everything went very smoothly, the atmosphere was good and there were some enjoyable round robins and matches until mid-afternoon when unfortunately Merv Allardyce collapsed. Everyone rallied to help and special thanks must go to Melanie Armstrong who performed CPR before the ambulances (2) arrived. We are pleased to say Merv, although still in Wellington Hospital at the time of writing, is now doing well. 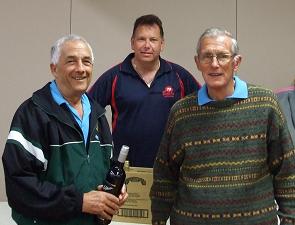 Most people carried on playing although the atmosphere was not the same after Merv’s collapse. Thanks must also go to our prize sponsors Graeme Jackson and Opus for 6 bottles of wine and to Paul Solt for the 4 bat cleaning kits. Additional prizes were purchased. Light refreshments provided by Maggie Dyer were available on the day – bread rolls, fruit and homemade slices. Combined Age Singles (shared) Jim Jarmin and Ian White, with guest appearance from Graeme Jackson! Depak with help from Raewyn, is now running a coaching night for members, every Thursday night. 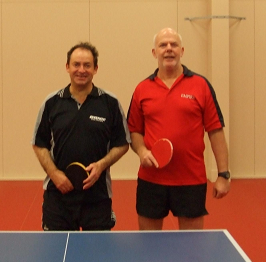 Come along and pay the usual $4.00 or use your concession card and take advantage of some expert coaching. This is likely to commence towards the end of May. If you would like to play please contact Chris Williams. The junior club’s first night for the year is Friday 29th April. This is open to all children, although most suited to those late Primary school age to early Secondary School. Come along from 6.30 pm. This has now been engraved by Peter Campbell, so keep an eye out on the Time Capsule as it is expected to be attached soon. Thanks to Arthur and his helpers, it is great now to see the project completed…well until the year 2034 when the capsule can be opened!